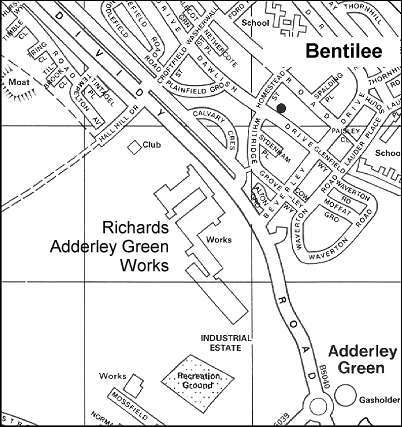 the Adderley Green works were purpose built by Richards Tiles Ltd around 1958.
to the Adderley Green Factories of Richards Tiles Ltd. on Monday April 14th 1958. 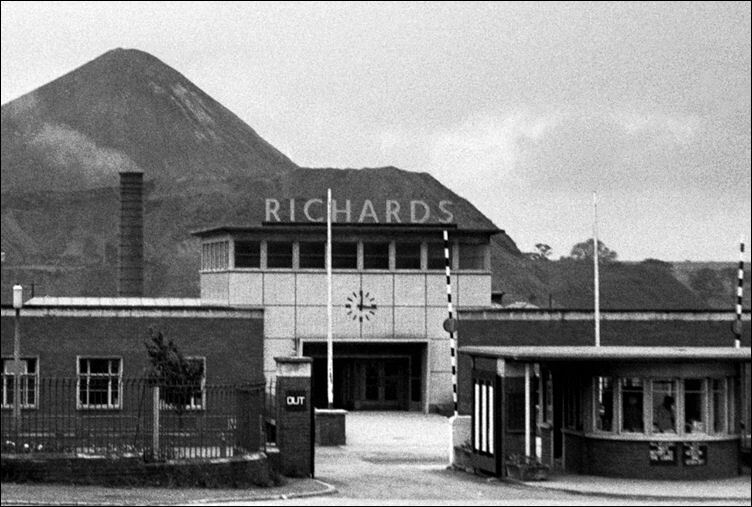 In 1954 Richards Tiles began to look around for land on which to build new factory units to replace the old floor tile plants at the Pinnox and Hallfield factories and also to replace wall tile biscuit plant at the Pinnox factory. 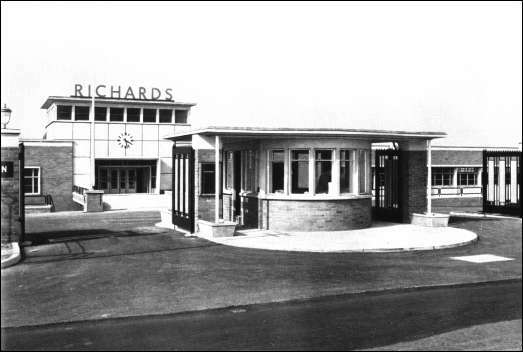 Land was purchased adjacent to Dividy Road, Adderley Green. 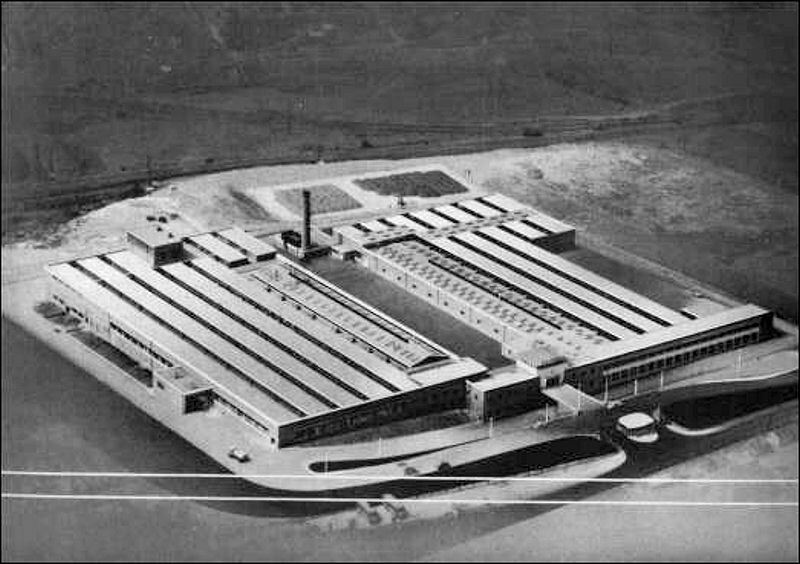 It was decided to also build a new wall tile factory to help satisfy the ever-increasing demand. Was this to be a single fire or a twice fire factory? There were many pros and cons. We decided on the more technically difficult single fire process and it was for this that we constructed, during 1955, the first new unit, which we called AG1. 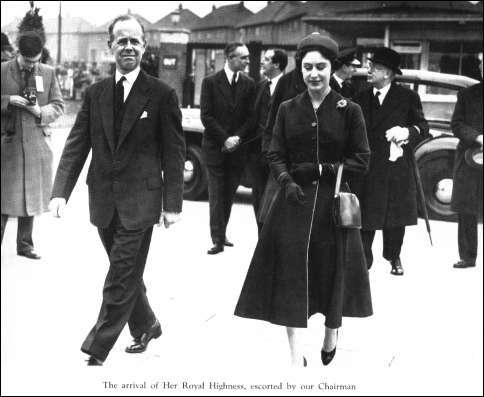 The unit was commissioned in 1956 and opened by Peter May, Surrey and England Cricket Captain. In the background can be seen the houses in Calvary Crescent, Bentilee.